The Badlands of South Dakota are a masterpiece created by the elements: sculpted from the earth by water and wind. Geological "artforms" 75 million years in the making. The inhabitants who have called the area home. Additional video clips, interviews, etc. 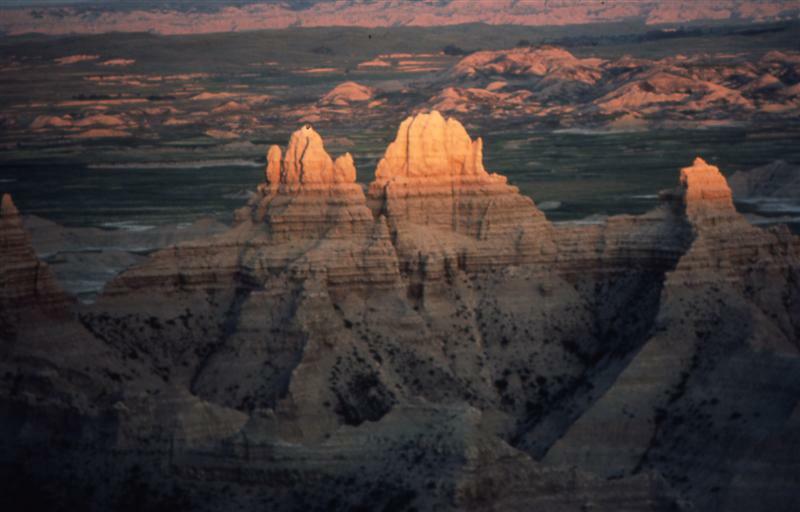 Over the ages, water and wind have carved out a bizarre and beautiful landscape east of the Black Hills. In the process, extraordinary treasures have been uncovered and exposed. 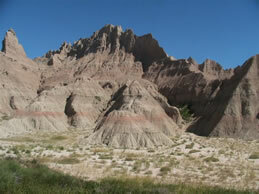 The multi-colored layers of sediment in the Badlands hold clues to the evolution of the earth and its creatures. There are stories hidden in the fantastic layers of sediment, from the fossils of ancient sea creatures to the remnants of mammals related to the horse and rhinoceros. The stories includes the creatures who now live in this arid landscape. 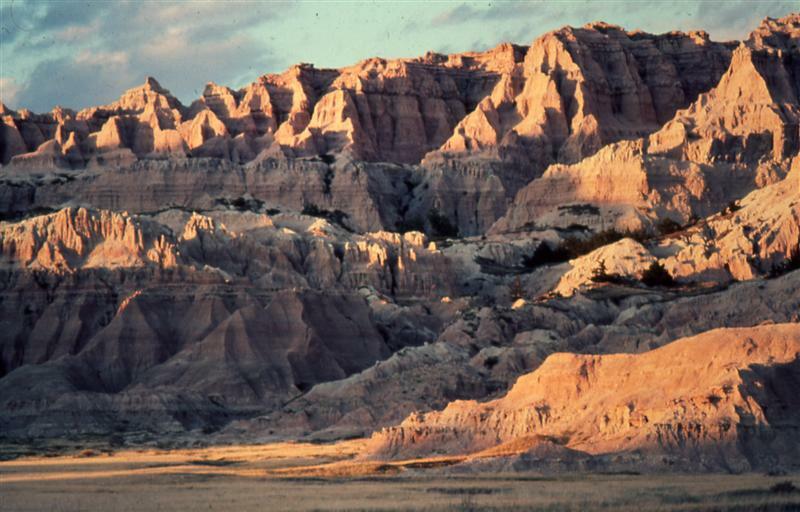 People came to the area some 11,000 years ago, beginning with paleo-Indians, followed by the Arikara and the great Sioux nation. In the late 19th century, the Homesteaders arrived. Today, conservation efforts continue to preserve this irreplaceable geological resource - nature's very own time capsule.